- compact plug & play security sensor. - sensor range from 10db to 90db. - 0U rack, din rail or wall mountable. 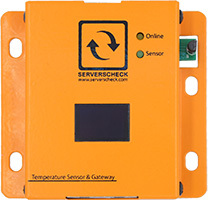 About the Security Sound Sensor Probe. Data Centers, server rooms, equipment rooms are all running with most of the time nobody in there. Everything is monitored by staff from another room. Often when something goes wrong a loud noise may be heard (loud bang, fans making abnormal sound, ...) Who will notice if no one is in the facility? No one. To improve monitoring, we developed a digital sound meter probe that continously monitors the decibels in the room it is installed at. You let the sensor run to get the normal sound level of your room and set the maximum (or minimum) alarm level in decibels accordingly. 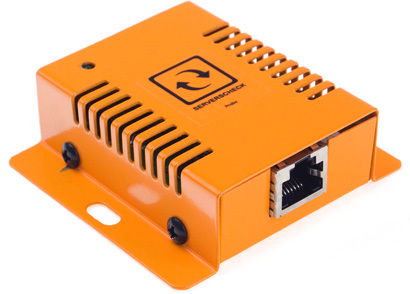 By connecting the sensor to the base unit, you have an ip and ethernet enabled sensor that runs on its own. No other software or hardware required. Of course the more racks or equipment you have the more of the sound sensors you'll need as an abnormal noise may be heard in the vincity of the location where the incident occured, but may not be heard on the other side of the room.